Launch Alert! 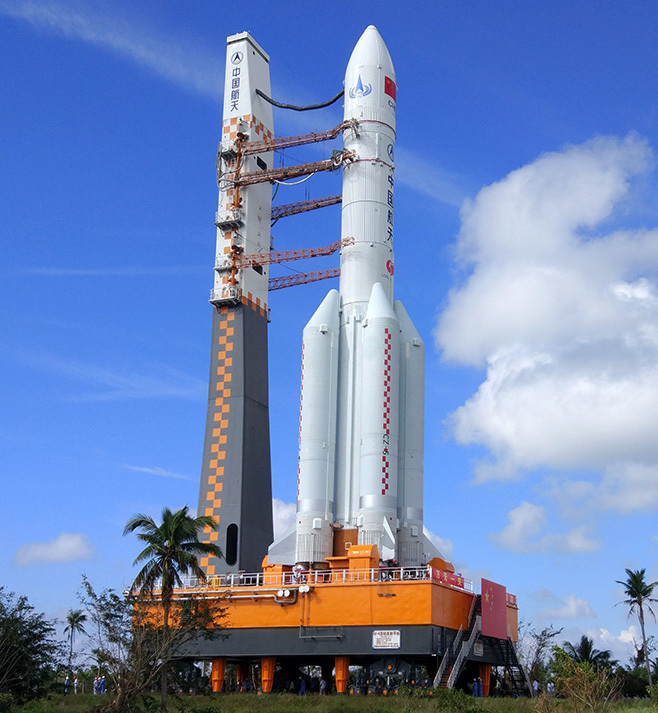 Sunday, July 2, 2017 at 07:20 EDT (11:20 UTC) China’s massive heavy lift rocket, the Long March 5 will embark upon its second flight, launching from Launch Complex 1 (LC-1) at the Wenchang Satellite Launch Center on Hainan Island to deliver the Shijian 18 communications satellite into orbit. 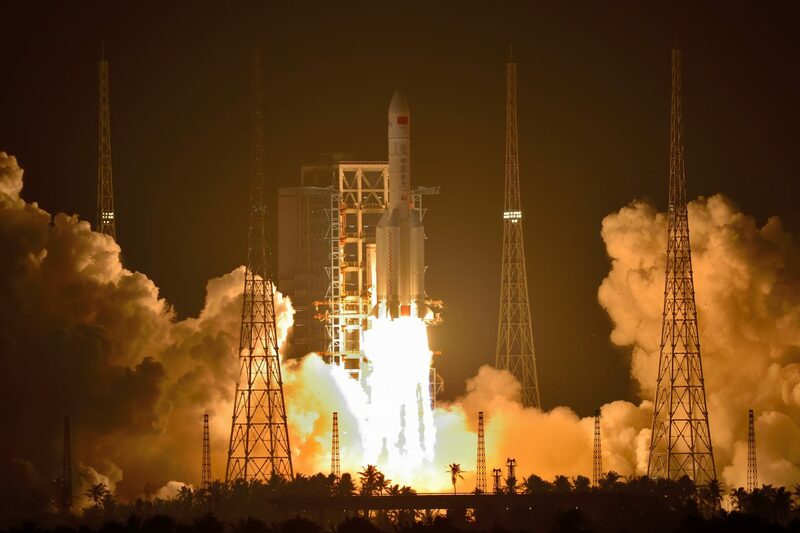 Long March 5 (Chang Zheng 5, CZ-5 or Shenjian) Rocket: China’s Long March 5 (CZ-5) rocket is a two-stage (optional three-stage), four-booster launcher and is the heavy-lift launcher in the Long March rocket family. It stands 57 m (187 ft.) tall and is 5 m (16 ft.) in core diameter. Liftoff mass for this vehicle is 594,000 kg (1,310,000 lb.) and can deliver a payload of up to 25,000 kg (55,000 lb.) into low Earth orbit (LEO), 14,000 kg (31,000 lb.) into Geostationary Transfer Orbit (GTO) and 8,200 kg (18,100 lb.) into Trans-Lunar Injection (TLI). CZ-5 Payload Fairings: The CZ-5 payload fairing is a 5 m (16 ft.) diameter two-piece, shell that protects the spacecraft from the turbulence and air resistance during launch. Explosive bolts detonate to remove the fairing around T+211 seconds. 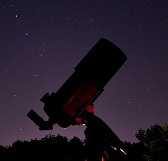 Second Stage (CZ-5-HO): The Long March 5 second stage is 10.6 m (35 ft.) in length and 5 m (16 ft.) in diameter. It is powered by two YF-75D engines that provide 776.5 kN (39,680 lb.) thrust at sea level, a specific impulse of 442 sec. and utilizes liquid hydrogen (LH2) for fuel and Liquid Oxygen (LOX) as oxidizer. Boosters (CZ-5-300): The Long March 5 carries four strap-on boosters, each 27.6 m (91 ft.) long and 3.35 m (11 ft.) in diameter. They are each powered by two YF-100 engines that provide 2,400 kN (540,000 lb.) thrust at sea level, a specific impulse of 300 sec. at sea level and utilizes highly refined kerosene known as Rocket Propellant 1 (RP-1) for fuel and Liquid Oxygen (LOX) as oxidizer. First Stage (CZ-5-500): The Long March 5 core stage is 31.7 m (104 ft.) in length and 5 m (16 ft.) in diameter. It’s powered by two single-chamber YF-77 main engines that provide 1,020 kN (230,000 lb.) thrust at sea level, a specific impulse of 310.2 sec. at sea level and utilizes liquid hydrogen (LH2) for fuel and Liquid Oxygen (LOX) as oxidizer. Image | This entry was posted in Images, Launches, News, Spaceflight Companies & Vehicles and tagged Chang Zheng 5, China, CZ-5, CZ5, Long March 5, Shenjian, Shijian 18, Shijian18, Wenchang, Wenchang Satellite Launch Center. Bookmark the permalink.